The latest bag on Kendall Jenner's arm isn't groundbreaking or new. It's not flashy or shiny. It's nylon, from the '90s, and Prada. If you're looking for the coolest and newest It bag, this isn't it. 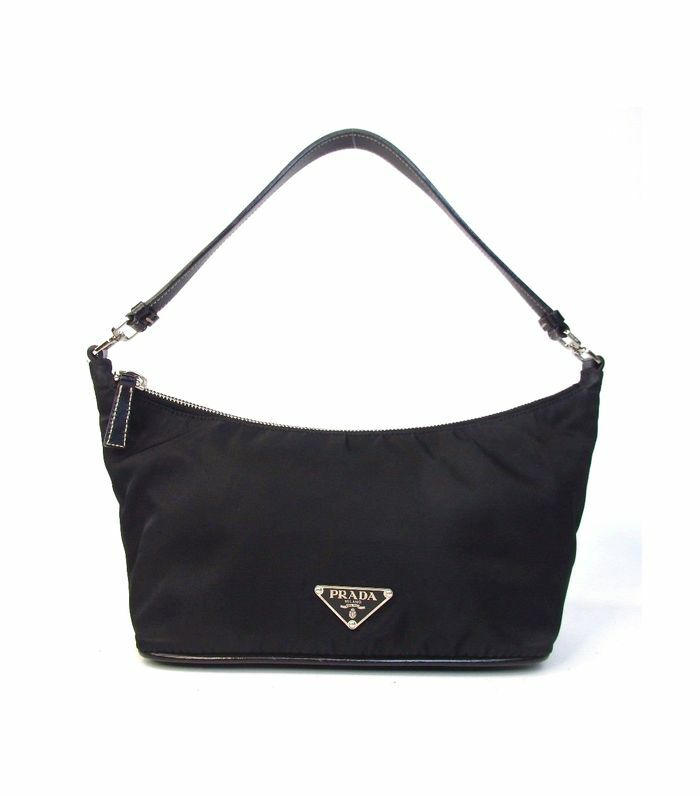 This is an OG hobo bag from a few decades ago when Prada's nylon backpacks and handbags became wildly popular. There aren't any new versions of Jenner's bag on the market right now, but this is where the good news comes in. You can pick up one of the Prada bags at a fraction of the original cost on sites selling lightly used styles, ringing in between $175 and $400. But as these vintage bags gain popularity, the prices start to increase. I’ve already noticed this with Dior’s saddle bags, which have quickly gained steam over the last year. I had my eye on a logo version last year that was under $200, but the same bag style is currently listed for $475 on The Real Real. So if, you're interested, now is the time to order one for yourself. Ahead, shop our edit of the best nylon Prada hobo bags to buy now. Another bag that's still on my wish list? Dior's logo saddle bag.